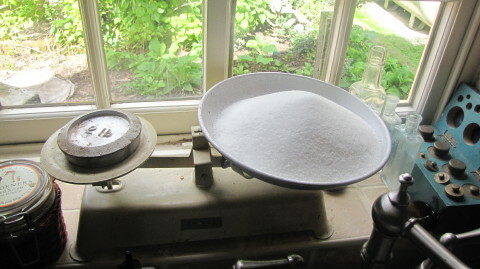 Note - I am making a double batch - which requires some pretty hefty pan sizes! 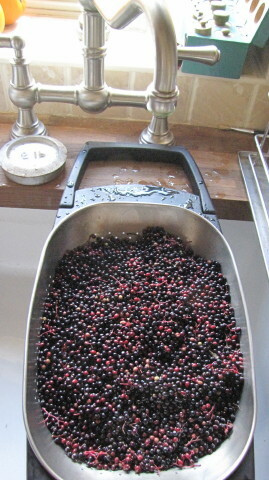 Rinse the berries off. 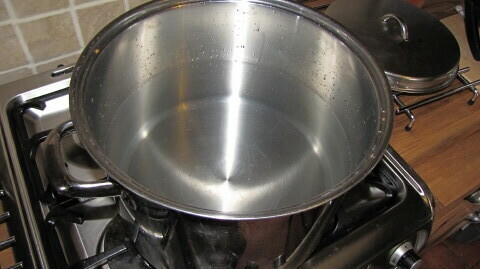 I bought one of these large "Over sink" collanders a few years back - very handy! 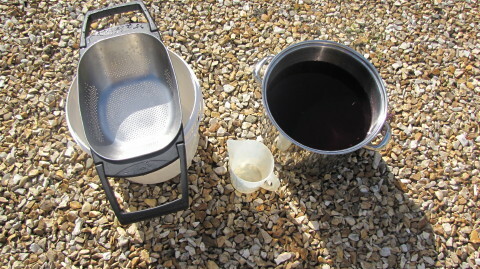 Pour the starter into clean, sterilised demijohns along with the sugar solution. 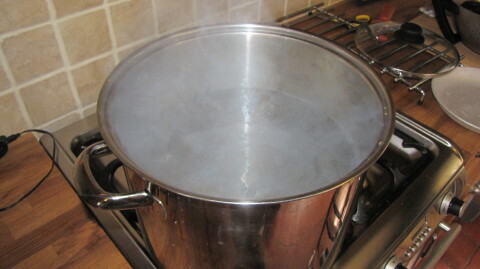 Whilst your "must" is cooling, sterilise another large pan or food grade bucket and set a collander up above it. I do this out doors cos this stuff will stain! 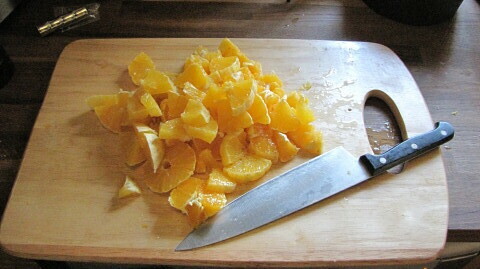 Using a jug, pass the cool pust through the collander to remover the large fruit bits. 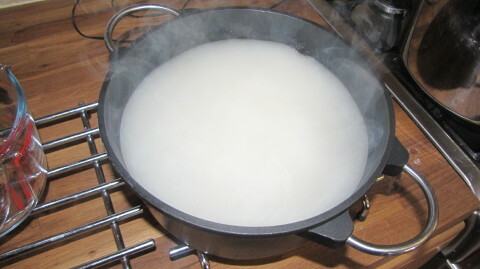 Now set up a funnel with a double layer of muslin over it. Filter the must into the demojohn(s). 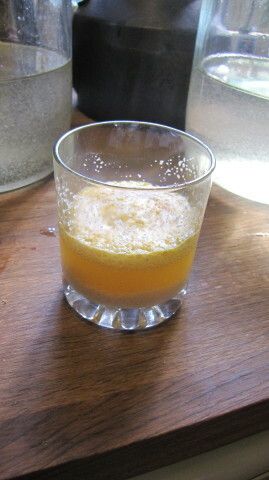 Bung in an airlock. 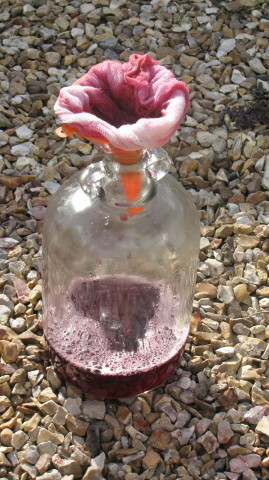 The first fermentation will be violent so leave plenty of "headspace". Top up when things are calm. 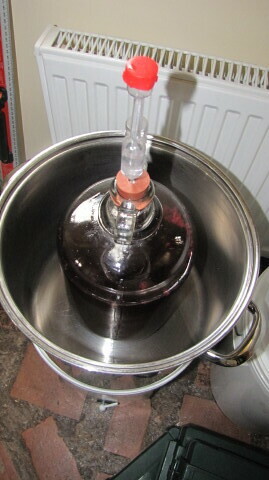 When fermentation is complete, rack off and bottle. Leave for six months. Does it keep OK BR, or is that a silly question? I notice you don't put in any tannin or yeast nutrient. Green Aura wrote: Does it keep OK BR, or is that a silly question? 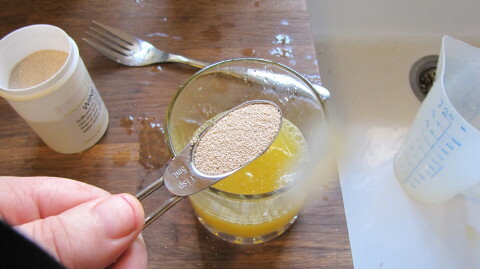 I've never needed yeast nutrient in it, I suspect there is enough material in the fruit. It keeps at least three years, I confess I haven't managed to hang on to it for longer. It really benefits from at least six months aging. I have the same problem, Red. 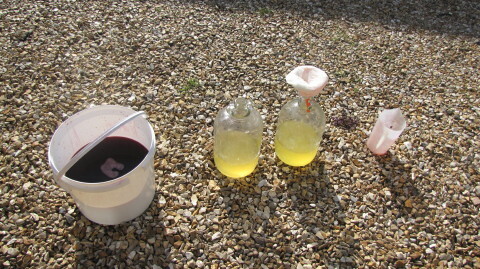 I like to know what my maturing wines are doing, so I tend to test them at regular intervals. It's amazing how often I suddenly realise I've tested it all. One day, I will get a wine to 5-years old. 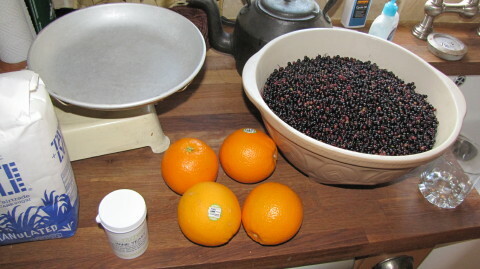 EDIT: Note for GA ... you never want to add any tannin to an elderberry wine - it already has an excess. 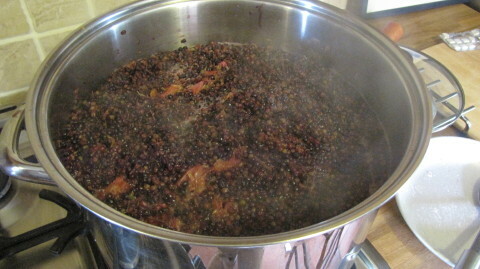 I am new to wine making and would like to try elderberry wine later this year and love the photo guidelines for your recipe - however this recipe is for an elderberry port - how does this differ to elderberry wine? This isn't really port, it's wine, but port sounds nicer I think. Port is fortified, with added alcohol in the legal sence commercially, but for home use I think the term is descriptive in the wine is very strong and very full bodied, just like a port, to call Elderberry a wine made like this would really do it a dis-service, it's that good! Can't wait to try it!!!! So you might say I have been bitten by the wine making bug! 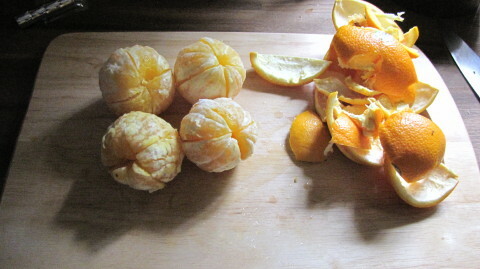 Anyhow i would like to make this out of season so i have a few questions if anyone can help me? 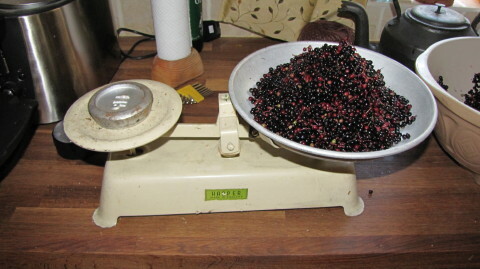 I have seen "ready in 3 weeks" elderberry wine kits in a local shop. 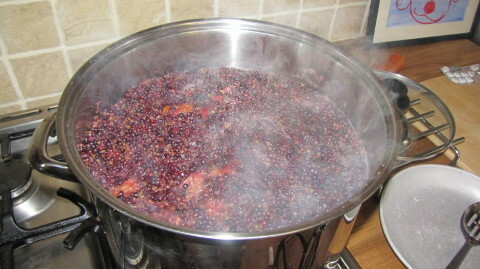 Could i use the elderberry concentrate from these kits with a bag of frozen blackberries to make this? Would i need to buy port yeast or could i use the yeast that came with the kit or the all purpose wine yeast i have?